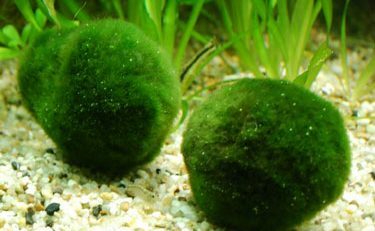 The Marimo, Aegagropila linnaei, meaning “ball of seaweed” in Japanese, is a velvety, spherical-shaped algae found in the lakes of Iceland, Estonia, and Japan. 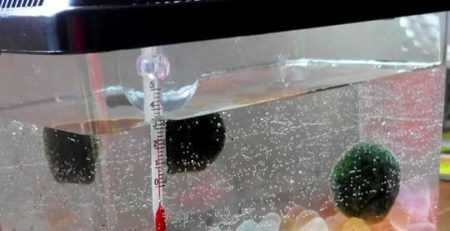 A wonder of nature, the Marimo generally cluster together in colonies and can be as large as basketballs. 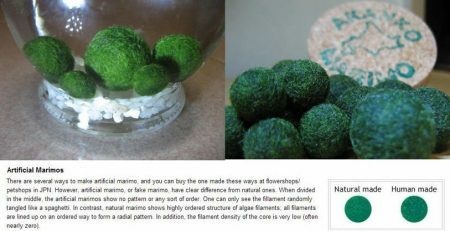 Marimo is a rare growth form of filamentous green algae (Chlorophyta) where the form takes on a spherical shape. This aesthetically pleasing and unusual algae growth is defined as a Natural Treasure in Japan. Japan declared the marimo and its habitat a protected species and national treasure in 1920. Iceland followed suit in 2006. 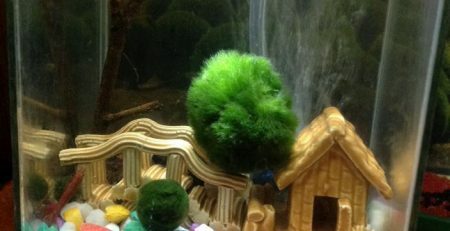 The sphere shape is one of three growth forms of Marimo filaments. Another form is the free-floating filament which is small tufts of unattached filaments that form a mossy carpet on a lake bottom. The third form is the epilithic which grows on the surface of rocks. Marimos are found in a portion of the lakes in Japan and other countries in the northern hemisphere but the spherical shaped Marimos are only known in Iceland, Estonia and Japan. 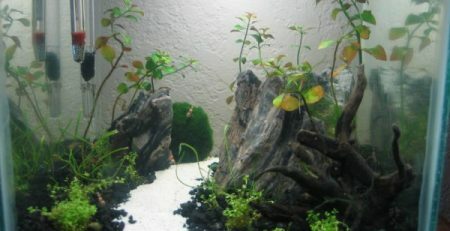 Marimo are a protected plant in the majority of their native habitats in order to preserve important natural colonies. 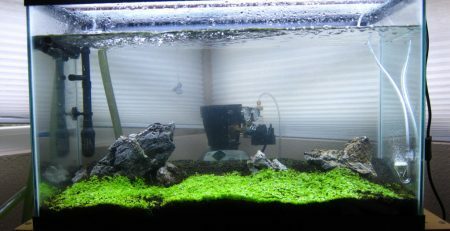 The majority of the Marimo you find in flower or pet shops for aquarium use are not harvested but instead raised on farms. 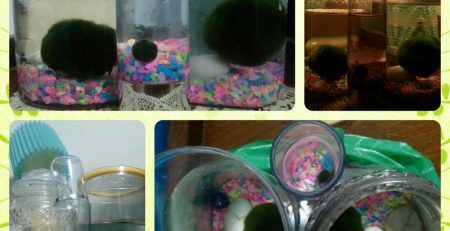 So how does one tell the difference between a natural and a “domesticated”, farm-raised Marimo? 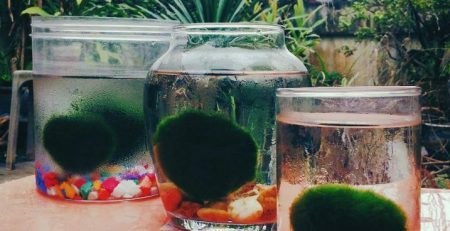 It is incredibly easy to tell the difference between an artificial or farm-made Marimo and a natural one. 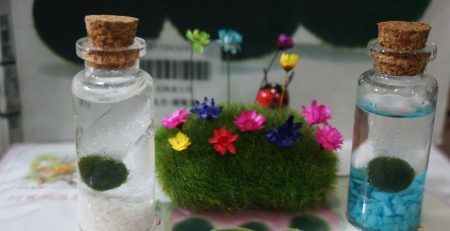 When divided in half, the artificial Marimo will have no ordered pattern. The filament will appear to be a tangled mass of random cross-sections and dots. 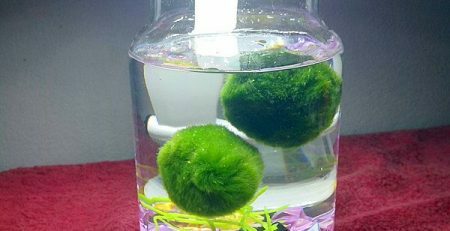 A natural Marimo, on the other hand, will display filament of a highly-structured, radial pattern. Also, the filament density of the core will be much lower than the artificial Marimo, often nearly zero.